As the fact that Japan is well-known for its longevity record proves, people are generally very conscious about their health and exercising as important as healthy eating. As a part of such health regime, more and more people nowadays join marathon event, with a plenty of preparation running beforehand. As one of such marathon event, I have previously introduced sweets marathon to our readers, but it seems the event is due to be back to Osaka again! So the “Sweets Marathon” is currently looking for participants to the marathon held on 8th December 2013. It seems this is the 4th event (!) 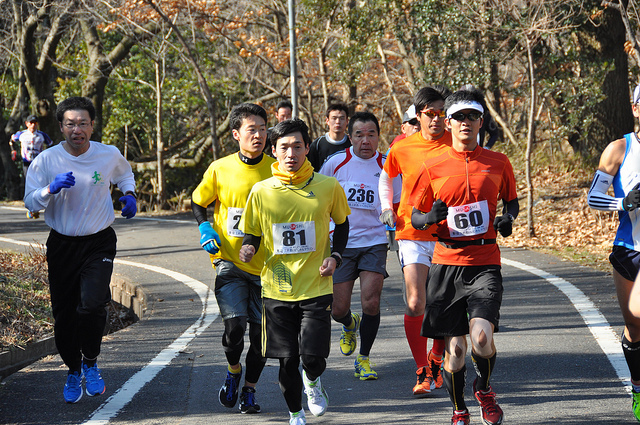 to be held in Osaka this year, and it is probably safe to say that this popularity may be contributed by more than 200 types of small sized sweets available from the aid stations in addition to water points. As you can see in the movie, due to the charm of sweets, 50% of participants are female, and 30% of all participants are first timer to the marathon event. If you are not ready or confident to complete full marathon, you are welcome to start from 10K marathon, or even run full marathon as a group of up to 10 people just like a relay run. I can see that people find it easier to join with a help of sweets and such a variety of types in running. I think this will probably be a very good encouragement even for me 🙂 FYI, sweets to be provided include local specialty sweets, sweets from famous shops, and it will not only be traditional sweets but also European and other sweets, too. Application will be accepted till the 9th November, so if you will be in Japan around then, it must be worth trying!